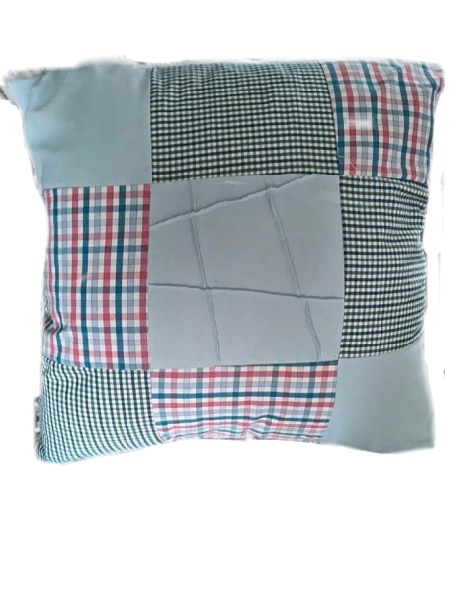 Memory Cushions are 18″ x 18″ inches square, slightly larger than a standard 15″ cushion. 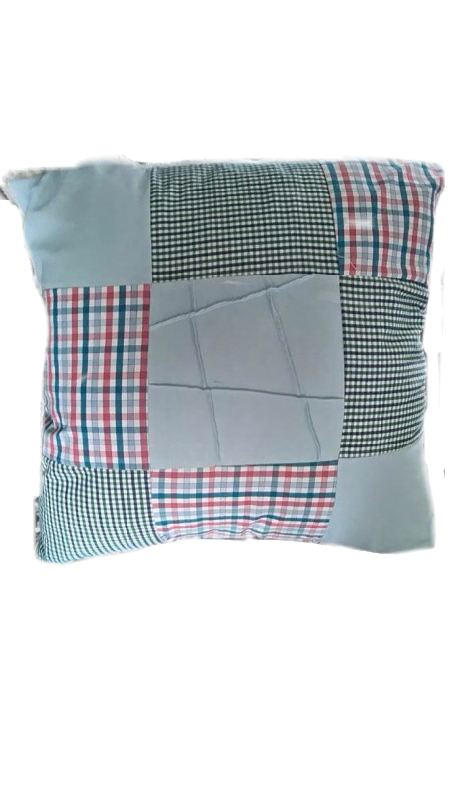 Get comfy on the sofa, and let your Memory Cushion help you easily reminisce over those treasured times and past events. 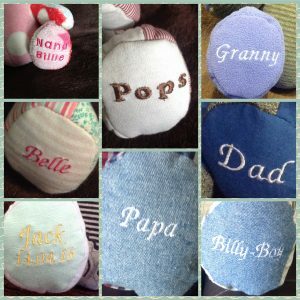 See more examples of our cushions in the gallery.